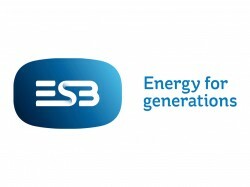 Our group is made up of Electric Ireland, ESB Network’s LTD, ESB International, ESB Telecoms and ESB limited companies. Responsibilities range from managing electricity and gas supply accounts, promoting energy efficiency and helping you save money. We maintain Ireland's electricity network, manage its network infrastructure and operate ESB's electricity meters. We are an international energy company investing in energy and engineering across the globe.